The Third China-Japan Information and Communications Technology Forum 2010, jointly organized by Center for Space Science and Applied Research, Chinese Academy of Sciences(CSSAR) and National Institute of Information and Communications Technology(NICT), was held in Tokyo, Japan from 21-23 April,2010. 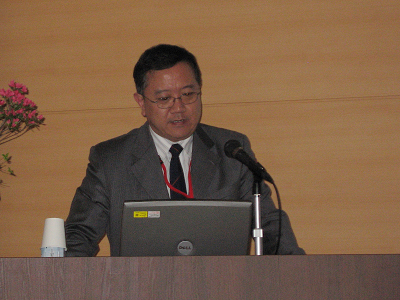 Almost 30 participants from 8 institutes of CAS and 60 researchers from Japan joined the forum. 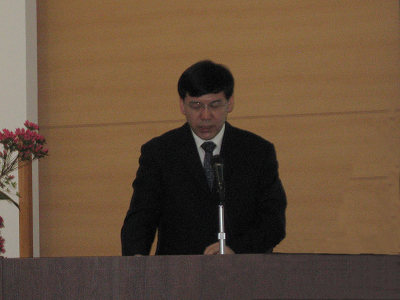 Prof. YIN Hejun, vice-president of CAS attended the conference and had an address on the opening. Prof. WU Ji, director of CSSAR, made a keynote entitled “International Cooperation of Chinese Space Exploration Program and Future Space Science Missions”. There are more than 30 presentations on the five sessions which is Space Weather, New Generation Network, Time Standard and Navigation, Microwave Remote Sensing and Terahertz Technology and Application. 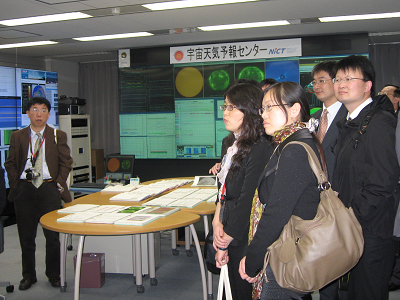 After the report, Chinese delegation visited NICT. Some constructive suggestions for cooperation in areas of space weather forecast and other areas were put forward through the forum.